Download BrochureThe Wonder Plow will make gardening fun!! 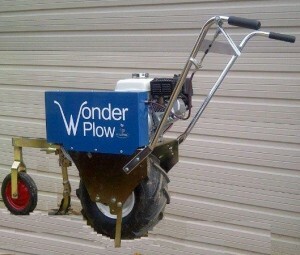 Use the Wonder Plow to lay rows off. Come back and plant with the optional Earth Way planter. Then when crops need to be cultivated, install the sweep assemblies and remove the weeds.